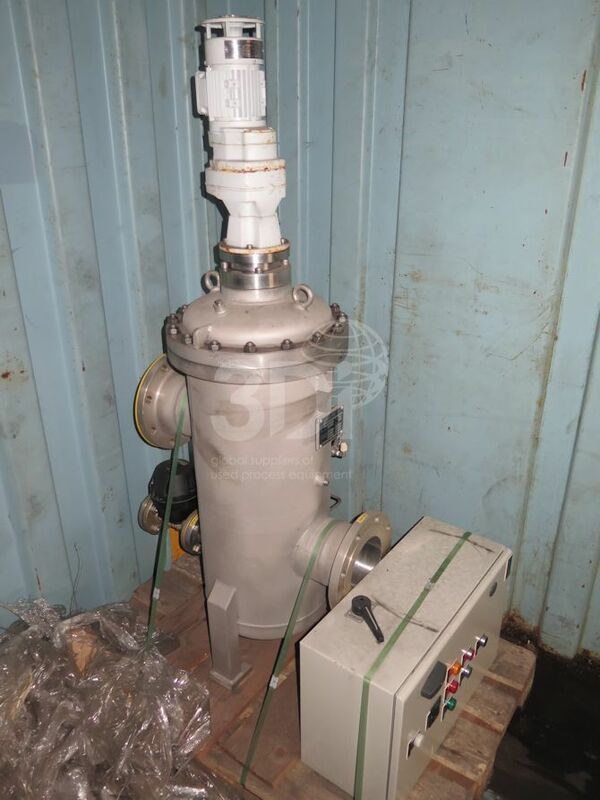 Unused Bollfilter Automatic Backwashing Filter, Self Cleaning Strainer Type 6.18, manufactured by Boll & Kirch Filterbau GmbH, 1999. Material of construction: stainless steel. Size: ANSI 6 inch 150 LBS. Flow rate of water 350m3/hr. Working pressure 10 bar. Working temp 90degC. Powered by a Brook Hansen electric motor. Complete with electric control box.